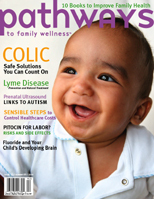 We had an overwhelming response from pathways readers and friends writing about their experiences with colic. Many parents expressed frustration with the numerous ineffective approaches to colic, drug side effects, and the advice to stop nursing. The following is just a sampling of the comments we received from parents expressing their enthusiasm for the benefits of their children’s chiropractic care. Every Parent Should Know This! Our third child was the first child with whom we experienced colic. We were caught off-guard. It was a low point in parenting. We all felt helpless and tired. Our sweet 3- week-old baby girl transformed one evening into a crying, miserable, and inconsolable child. It happened every night at the same time for the same length of time. We had resigned to walk the halls of our house with a screaming baby at night until she stopped. On her fourth-week pediatric visit, I mentioned the symptoms to her pediatrician, and she was easily diagnosed with colic, which I knew nothing about. The doctor matter-offactly predicted it would last three to four months. Yikes! The initial solutions online only made us more nervous, more frantic, and self-doubting. They included: a hundred-and-one ways to burp, upright bottle feeding, swaddle tighter, don’t swaddle, massage techniques, food do’s and don’ts for the breastfeeding mom, white noise, how to hold your baby, pacifiers, Mozart music, long baths, gas drops, and as a last resort just put them down and deal with tough love. It was so overwhelming! And to make matters worse, nothing helped. If anything, we were worse off than before because we thought something might work. Every day we tried something different. It was all false hope. We are college-educated, rational parents, and felt that this shouldn’t be so difficult to “fix.” We wanted to help her. We wanted her to be calm, happy, and rested. We needed sleep. We were desperate for a cure. The great news is there is a solution. We found it and it is one of the worst best-kept secrets. Every parent should know this! Have your baby adjusted. It’s that simple. Two weeks later at my chiropractic appointment, my chiropractor overheard me at her office groaning about our situation and immediately adjusted our baby, who was with me. That first adjustment meant a good night’s sleep for all of us for the first time in a long time. I quickly discovered how long the adjustment would last before the colic would return. I went back every three days for a couple of weeks. As she grew bigger, the effect of the adjustment would last longer, so we could go every four or five days until she outgrew the colic. What I would have given to have found out sooner. I had never considered adjusting my other children so young. Our baby responded so well to her adjustments. She was free from this horrible colic condition. My husband and I went on to have twins when she was 18 months old. I brought the two of them in to the chiropractor’s office as soon as I could drive after the delivery. I wasn’t taking any chance with two! Adjustments are the best preventative healthcare I can give my children. I have a 10-month-old baby girl. Starting at three months, she became very colicky. She spit up constantly. We took her for tests at our local hospital and they told us that she did not have reflux. At six months, with the problems only getting worse, the pediatrician decided to start her on a histamine-2 blocker, Zantac. When she continued to spit up every hour, they tried to change her medication to Prevacid. Initially we saw a small decrease in her reflux although it was still occurring every couple of hours. The next step was to double her dose of Prevacid. It was a dose not even recommended in babies her age! At no point in her short little life had she ever slept through the night. At this point, my husband and I decided to try another approach. I spoke with one of my colleagues at the hospital and she recommended chiropractic. I was very hesitant to take my infant, now eight months old, to a chiropractor. Neither my husband nor myself had ever had chiropractic care. After her very first adjustment, she slept thru the night!!! It was like we had a different baby. Right from the start her signs and symptoms of reflux diminished. We took her three times a week for almost three weeks. By the end of the second visit, I completely stopped all of her meds. By the end of three weeks, she rarely spit up and she slept through the night consistently. Brooke is now 10 months old. She almost never spits up and is a very happy baby. Chiropractic care has made a huge difference in her. “I wouldn’t say cure,” he responded, “but it might help a bit.” I left the office and tossed the scrip. Three weeks more of colic and we were becoming delirious. Something told me to go to my chiropractor for help. I walked into her office, holding out my baby and sobbing. When my chiropractor gave my baby her first adjustment, I remember hearing my little one-month-old baby sigh out loud in relief. That night, for the first time ever, she slept for 12 hours straight. The inconsolable screaming stopped as well. I have the before-and-after pictures of a discontented baby transformed into a contented baby. When people ask me about chiropractic care for newborns and toddlers, I cannot express enough how it truly saved us from a complete physical and mental breakdown. Colic is a very exhausting and stressful experience for the entire family. Everyone can benefit from healing the body from the inside out. What a gift our chiropractor has given us! I have been seeing a chiropractor for many years. I made numerous visits to the chiropractor when I was pregnant to help alleviate discomforts of back pain and leg swelling. My chiropractor explained how the adjustments in pregnancy could make birthing easier. She was right! I delivered naturally, without an epidural. After my daughter Ashley’s birth, I continued to get adjusted, but did not grasp how chiropractic could help my newborn. For weeks my baby was crying, and spitting up constantly. She would only sleep when she became so exhausted from crying that she had to sleep. Most of the time we could not cradle her; we had to hold her upright because of the reflux. I was afraid I would have to stop nursing her and put her on formula and medication. After her first adjustment, she stopped crying, nursed really well, and fell asleep. It brings me to tears to think about that first adjustment and how it changed our lives. After that, I brought in Ashley to maintain her alignment. I highly recommend getting your child checked by a chiropractor, no matter how young they are! Our daughter had been experiencing a lot of fussiness and crying all day, and at night it would get even worse. We tried over the counter meds recommended for colic, nursing in different positions (recommended by lactation professionals), and even massage therapy. Nothing seemed to work for any length of time, and she looked like she was always in pain. People suggested chiropractic. I was a bit skeptical, but I decided to bring her in for an adjustment. Incredible changes happened—it was like night and day. Finally, she slept. There was such an improvement in her mood and personality. After five adjustments, she is like a new baby—all smiles and giggles. Four weeks after Layla was born, I wasn’t sleeping more than an hour at a time, a few times a night. I was crying every day, because I felt completely helpless. I had this beautiful baby who never stopped crying. I brought her to the chiropractor at 4 weeks old, and after four weeks of care, she cried considerably less. 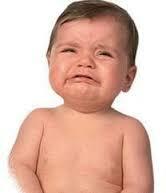 Now she only cries when she needs something…and I never cry, except for tears of joy. When Layla got her two-month shots at the pediatrician’s office, she had a reaction. She was crying hysterically and she refused to eat. We rushed over to our chiropractor’s office. Layla stopped screaming and became peaceful after the adjustment.